Mission trips offers youth leaders one of the greatest discipleship training windows in their youth calendars, giving over 150 hours to invest into the lives of every student who comes on the trip – which is by far more time than the entire rest of the year combined! And, as youth leaders, we are all aware to the complex intricacies of a teenager’s life. Engaging and sustaining meaningful conversations can – at times – be brutal. Teenagers frequently put on a front of appearing uninterested or disconnected or remaining silent, which in turn can make our roles as youth leaders, a difficult and often hopeless path of building inroads with our students. As youth leaders, we typically lead out of a pretense of a perfect life; meaning that we lead lives that are neatly packaged together, that we have figured out how to live the best life now, and that we have a life that is the perfect example for all students to follow. And while there may be value to that approach and even truth within those sentiments, but I find that leading from that perspective often builds walls between us and our students, distancing ourselves from our students who may be struggling to find their way forward in life. A better way – I believe – is to build bridges. Remove our pretenses to what a leaders’ life should look like and choose to be honest, humble, and authentic in the time spent with your students. Instead of always digging for what God is teaching them throughout the week, frequently share what God is teaching you. Instead of imposing a confidence in every element of the trip, express your fears and all the ways God is challenging your faith. Instead of only asking how you can pray for your students, lead your prayer times by vulnerably sharing your requests. Bottom line: the more vulnerable, authentic and well – human – we are, the more our students will see as real people with real struggles, ultimately opening the door to far greater and meaningful conversations down the road. When we stop building walls and beginning building bridges, we will begin building relationships with our students where openness and trust can grow and flourish. Jesus, our greatest model to disciple-making, was so great at this idea, leaving a wealth of examples for us to follow. Jesus would look at the flowers of the field or the birds of the air to teach His disciples about worry and trust…Jesus would look at the sheep in the pasture and the care of the shepherds to teach about God’s loving care for His children. Pay attention to the community and situations around you and capture every moment that God brings into your mission trip experience. Oklahoma thunderstorms are great moments to remember the power and protection of our Almighty God. Enjoying a late-night brownie and ice cream after a hard day’s work on the worksite creates an experience to reflect on God’s goodness and provision of lasting joy. Conflicts amongst friends or other students on the trip are opportunities to talk about the importance of steadfast love and the faithfulness of God to always keep His promises. Always be mindful of every moment that you can capture as a talking point with your students! Like all of us, teenagers simply want to know that someone cares about their life. That they are important. That they are valued. And the more we listen to our students the more we will learn about their lives, their interest, and ultimately their faith journey. Speaking from personal experience, those who hold the greatest weight in my life are those who ask me about the things I have shared days, weeks, or even months ago. They gained my trust by the way they listened to my stories and by the way they remembered all that I had shared in previous conversations. We all possess a default tendency to plan out our next round of questions without first listening to what is actually being said. And this typically born out of our fear of not knowing what to say next. You can untangle yourself from that fear by simply getting into the practice of repeating what you have heard. By this practice of repeating, you demonstrate a level of support and attention which will further induce conversation. Instead of frantically scrambling to come up with a new line of questions, get into practice of repeating back the very details that you heard – it allows the student to feel heard and understood, and it gives you time to frame up your next question. 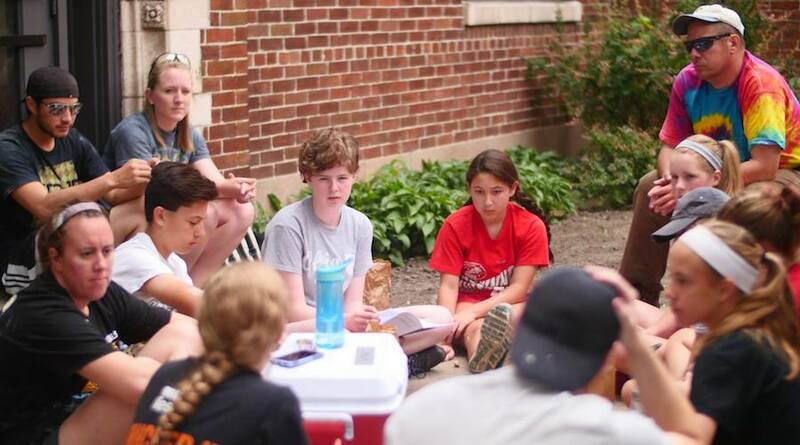 Even if you do nothing else but listen to your students this mission trip, you will have more than enough content to engage in meaningful conversations for not only the rest of the trip but for the rest of the year.